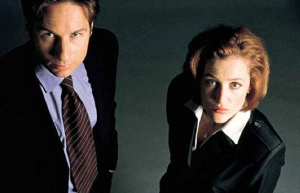 A six-episode revival of the sci-fi hit The X-Files was recently announced that would reunite actors David Duchovny and Gillian Anderson after 13 years as FBI Special Agents Fox Mulder and Dana Scully. Coming from drastically differing vantage points, the pair attempt to solve bizarre occurrences often dealing with extraterrestrial and paranormal phenomena out of their basement office at the FBI. Mulder was the agent with the “I Want to Believe” UFO poster on his office wall. Scully, on the other hand, placed her faith solely in science and provable data.